Call us at (908) 810-7424 today. Welcome to Touchstone Chiropractic LLC. and thank you for visiting our web site. It is our hope that the following pages can be of assistance to you in some way. Whether you are a current or future chiropractic patient, the following pages are designed to empower you to reach your personal and professional goals. 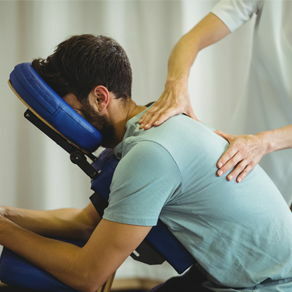 Our chiropractic care team provides health & wellness services to patients of all ages (from pediatric to geriatric chiropractic) to aid in the relief of moderate-to-severe back pain, foot pain, knee pain, leg pain, neck pain, shoulder pain and remedies for carpal tunnel syndrome & headaches/migraines. We are located at Main Office - 427 Chestnut Street in Union, New Jersey and welcome new patients from the surrounding areas of Springfield, Kenilworth, Roselle Park and Elizabeth, New Jersey and beyond. With well over 66 Five Star Raings, Dr. Zuniga and his chiropractic care team go above & beyond to ensure you are treated with compassion and care so you too will become part of our family on your road to recovery & pain-free living. "Polite staff, convenient hours, clean facility and is a caring Dr."
"The staff is very professional Dr. Zuniga is knowledge about his profession and practices most updated technique on chiropratory. He treats he's customers with care."